London Tea Company provides a simple, yet flavourful tea that’s sure to keep you feeling relaxed wherever you are. The bags are filled with 100% FairTrade sourced peppermint tea leaves and nothing else. There aren’t any nasty additives or unnatural flavourings in these tea bags. Brew with hot water and overwhelmed by the incredible bold peppermint smell; letting you breathe easy and truly unwind with a great tasting cup of tea. Each one of these boxes holds a total of 250 tea bags, which keeps your kitchen well stocked or works great as an office tea dispenser. But be careful – the relaxing nature of peppermint tea might stop any of you from getting your work done. 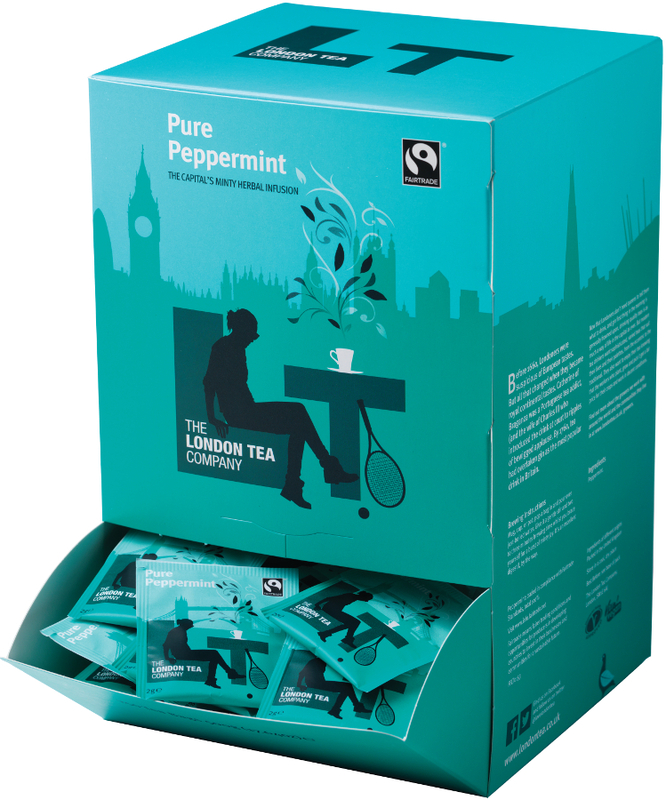 The London Tea Company Fairtrade Pure Peppermint Tea - 250 bags product ethics are indicated below. To learn more about these product ethics and to see related products, follow the links below. 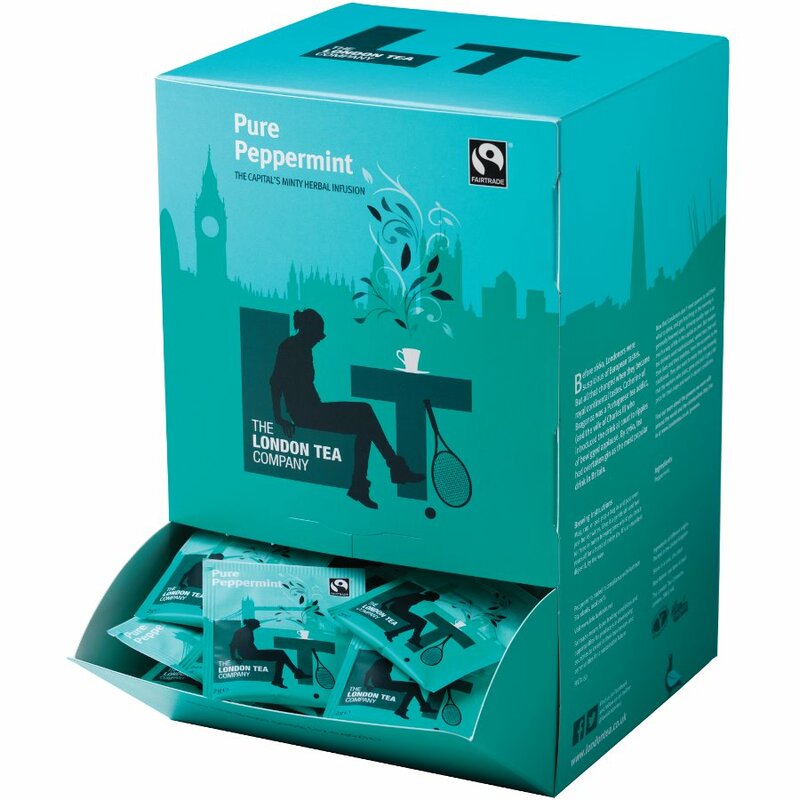 There are currently no questions to display about London Tea Company Fairtrade Pure Peppermint Tea - 250 bags.